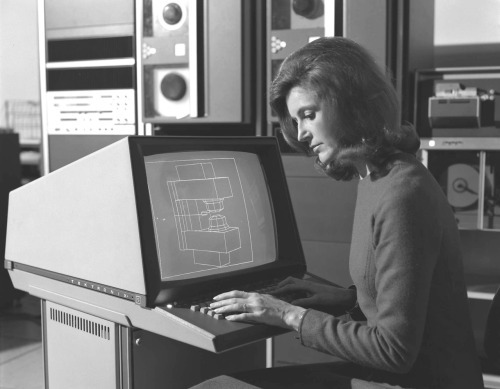 Ruth Jeans operating the Rutherford VDU, June 1976. I miss when things had heft. UPDATE: Ruth Jeans got in touch. Could you please tell me how my photograph has come to be published on this site?? Sending you an email !! sorry, this was in spam folder.